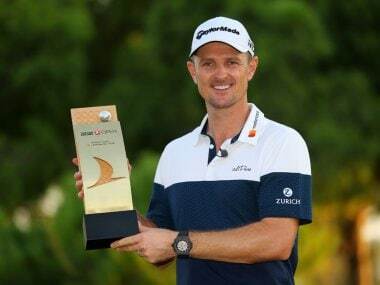 Antalya: It took Justin Rose nearly 20 years to successfully defend a title, but it took him just eight weeks to get back his World No 1 ranking, which came as a twin bonus for his triumph at the Turkish Airlines. Justin Rose ascended to the World No 1 ranking once more as he beat Li Haotong at the Regnum Carya Golf and Spa Resort. Playing in a country, which has given him three winning moments, after the unofficial eight-man event in 2012 and then 2017 and 2018, Rose can rightly feel this is his favourite golfing venue. Rose, 38, was also T-3 in 2013. Rose carded 3-under 68 to get to 17-under and being 19-under at one stage. In contrast, Li Haotong, who was engaged in a see-saw battle with the Englishman faltered twice at the 18th, first in regulation and then in the play-off to hand that lovely trophy to Rose. 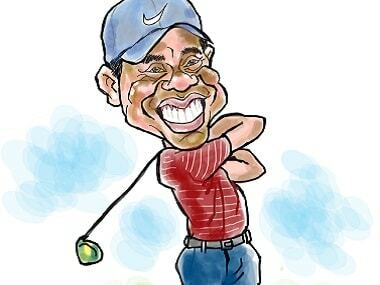 At this time, Rose seems to have everything in his career — World No 1, FedEx Cup, a Major and an Olympic gold medal. "Now I want more Majors and that will be my focus," he declared. Rose also became the first player to successfully defend a Rolex Series title. Rose carded three-under 68 to get to 17-under, while Haotong starting at 17-under stayed there with 71 and the Englishman won the first playoff hole with a par as Haotong bogeyed with a three-putted from inside 10 feet. On the No. 1, he said, "This time winning a title and becoming No. 1 feels good. The last couple of times, there have been things which have seemed consultation prizes. I didn't win the title (Tour Championships), but I won the FedEx Cup; and before that, I didn't win BMW (he was second) but became No 1, so this time it feels good with both things — this (trophy) and No. 1 ." Asked to comment on the see-saw battle and Haotong's collapse at the end, Rose said, "Obviously you want to win the tournament and I want to win it at all costs, but I couldn't help but root for him, as well, and I couldn't help be feeling really bad for him on 18. It did get tense for both of us coming down the stretch. It was a really good battle. He eagled 15 and I nipped ahead at 16. 17 and 18, obviously I would love to play those again but they are tricky holes and a lot of shadows around the cup." On defending the title, he added, "Yeah, it was really important. It's taken me a long time to do it. Maybe I haven't won enough tournaments to give myself enough opportunities to defend, but this golf course obviously suits my eye, and when you do find a golf course that does suit your eyes, you feel like you should give yourself opportunities to win there. To do it back-to-back is very special." From an Indian perspective, Shubhankar Sharma ensured he will carry some positive thoughts as he boards the flight tonight to Johannesburg. He produced his best card of the week, on the last day with a four-under 67 as the Turkish Airlines Open drew to a close on Sunday. The 21-year-old playing his first full season on the European Tour, totalled five-under 279 to finish a respectable T-43rd. Rose, starting the day three shots behind Haotong, produced very consistent golf as he whittled down the lead with the Chinese player making some mistakes. In fact with four holes to play, Rose had built up a two-shot lead, which was neutralised a by an incredible eagle from Haotong on the 15th at the Regnum Carya Golf & Spa Resort. That brought both of them level and when Rose birdied the 16th, he moved to 19-under and one ahead. Rose three-putted the 17th to fall to 18-under and then both bogeyed the 18th to finish at 17-under to go into a playoff as the clash resembled match play. When Rose bogeyed 18th, it left Haotong with a putt to win, but he missed and fell back. 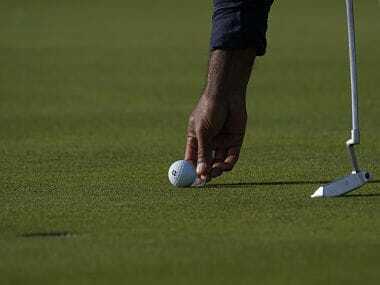 A Haotong three-putt on the first trip back in the playoff on the par-four 18th then handed Rose the victory that moved him back to the top of the Official World Golf Ranking. Rose admitted, "There were moments out there where it looked like both of us weren't holding our nerve very well. It was quite tricky to putt to be coming in to be honest with you, and obviously 18, a scalp there at the end; that's a treacherous green and one you definitely needed to respect. "It was a fun battle. Obviously, I got myself two ahead with a few to play. Haotong made a wonderful eagle at 15 and 16 we were both in there tight and I kind of got my nose in front again." He added, "Yeah, it is disappointing for me to finish 5, 5, really. The 5 at 18, you can somewhat live with. The 5 at 17 I should have cleaned that hole up easier than I did. Ended up okay in the end." Speaking for Haotong, he said, "I do have a thought to spare for Haotong. Tough way to finish that. He's hit a positive putt to try and win, and that green, like I said, is very tough." As for the No. 1 ranking, his final thought, "That's just something to be proud of. It doesn't mean much. Doesn't give you much. It certainly doesn't give you any extra -- doesn't make you 1-under par the first tee the next time you play but it's something to be proud of for sure." Belgian Thomas Detry and Spaniard Adrian Otaegui both signed for rounds of 65 to sit two shots out of the play-off at 15 under. Dane Lucas Bjerregaard and German Martin Kaymer were at 14 under, a shot clear English pair Tommy Fleetwood and Danny Willett, and another Dane in Thorbjørn Olesen. The victory sees Rose join Jon Rahm and Alex Noren as a multiple Rolex Series winner and represents the first successful title defence of his career.